The Providence Group of Georgia, LLC is a leading lifestyle builder in Atlanta and was ranked the 11th largest builder in Atlanta by the Atlanta Business Chronicle in 2017. The Providence Group is led by Warren Jolly. The Jolly family is renowned for intelligent craftsmanship and meticulous attention to details, including upgrades as standard features. The value of receiving premium options and the assurance of a home built by craftsmen with thoughtful attention to details is worth so much more than settling for a production-build house. The Providence Group’s innovative approach to residential development is based upon selling unique homes priced from over $250,000 to more than $1 million in over 20 of Atlanta’s most sought-after neighborhoods, including and its largest master planned neighborhood, Bellmoore Park. This customer-focused philosophy comes to life in beautiful neighborhoods that owners love to call home. The Providence Group currently offers new communities in sought after locations throughout Atlanta including Forsyth, Fulton, Cobb, and Gwinnett Counties. 50+ years of combined management experience building thousands of homes in the area. 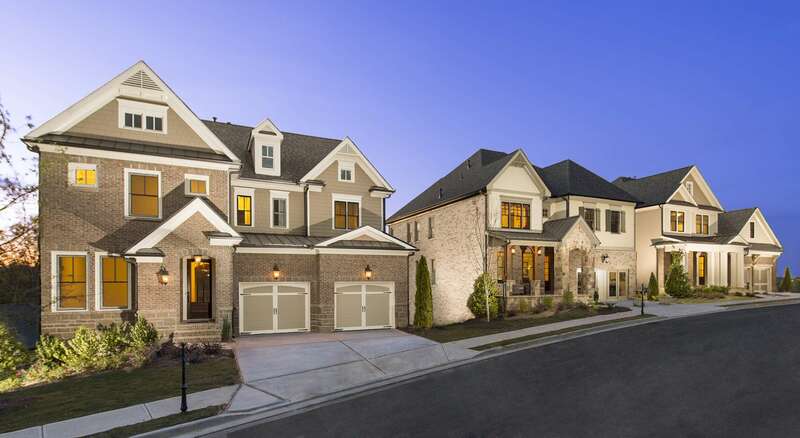 The Providence Group's beautiful homes are currently available in 21 communities across Atlanta. The Providence Group’s customer driven philosophy extends throughout its organization and into the development and construction of each community. Learn more about what makes The Providence Group one of the leading lifestyle builders in Atlanta, Georgia.